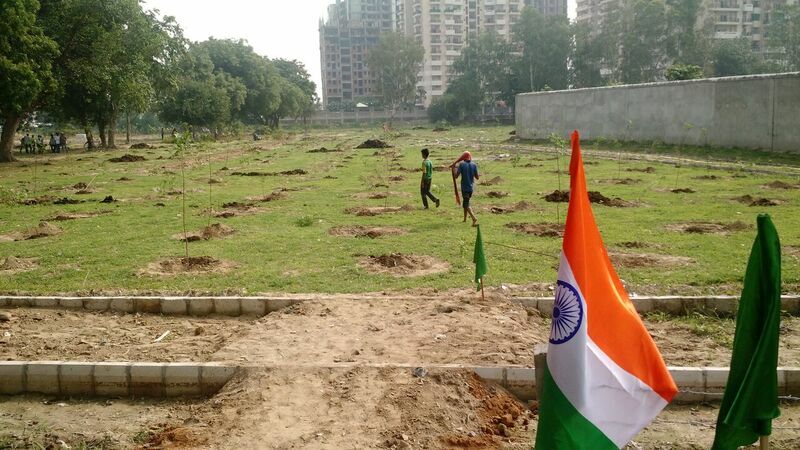 Marking India’s 72nd Independence Day, a new urban forest was birthed in Noida, Uttar Pradesh (Delhi-NCR), with the involvement of people of all ages and walks of life. 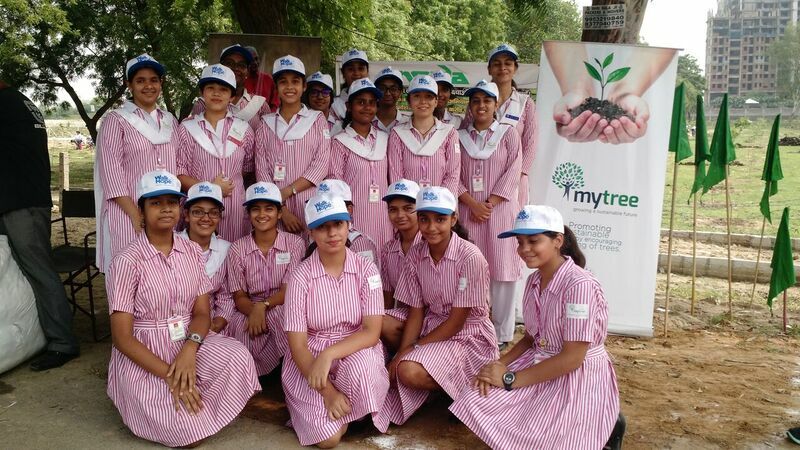 On 15th August 2018, the MyTree team participated in the planting of 2,000 saplings in an almost-bare patch of fenced land demarcated for an urban green zone – in partnership with the UP Forest Department, and the Noida Development Authority. 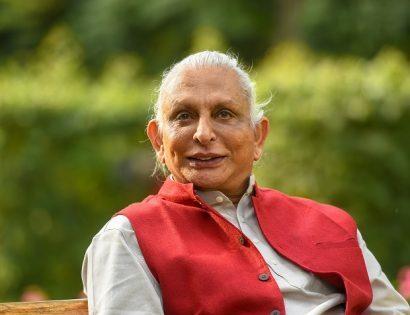 Volunteers from The Satsang Foundation, Delhi Kendra reached out personally and over social media to friends and acquaintances, and this enthusiasm rubbed off in the process on many others who were inspired by the cause. 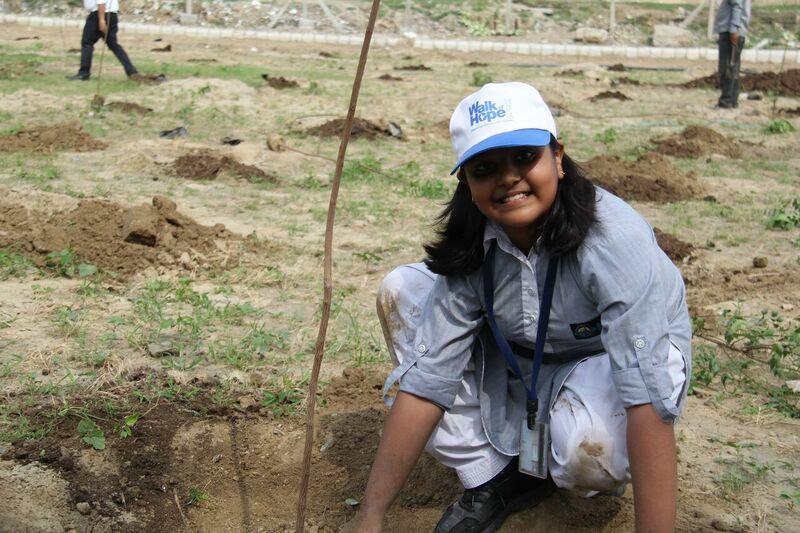 In all, about 200 people joined in for the planting. 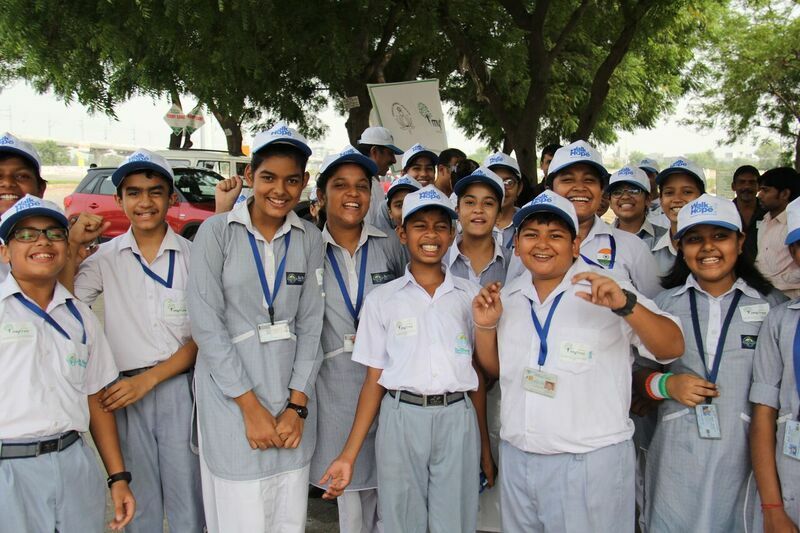 About 25 students and teachers from Bal Bharti School – Noida and about 20 from Loreto Convent – Delhi Cantt. joined in with full energy and enthusiasm. 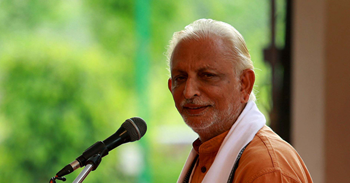 Many senior officers of the UP government joined in as well. 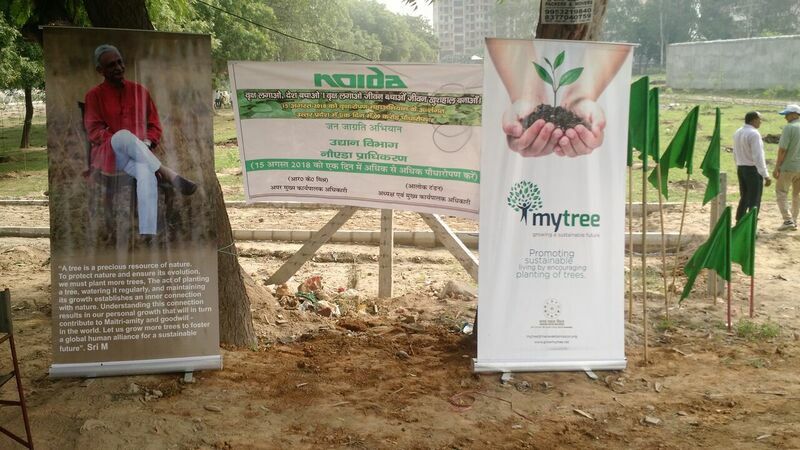 The Noida Development Authority (NDA) carried out the preparatory work including the digging, as well as the procurement of manure, water, implements, and saplings. 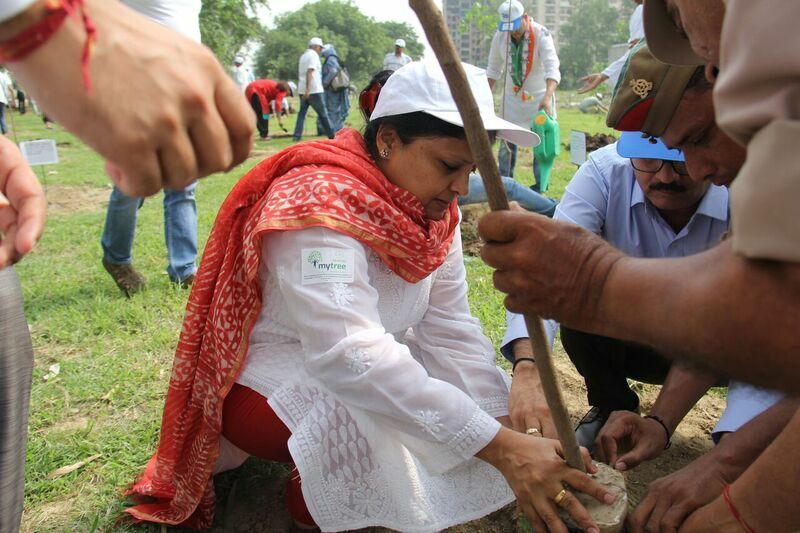 The planting began at about 9.15 a.m. and, in less than 2 hours, more than 1,000 saplings had been planted, while the balance was planted through the course of the day. 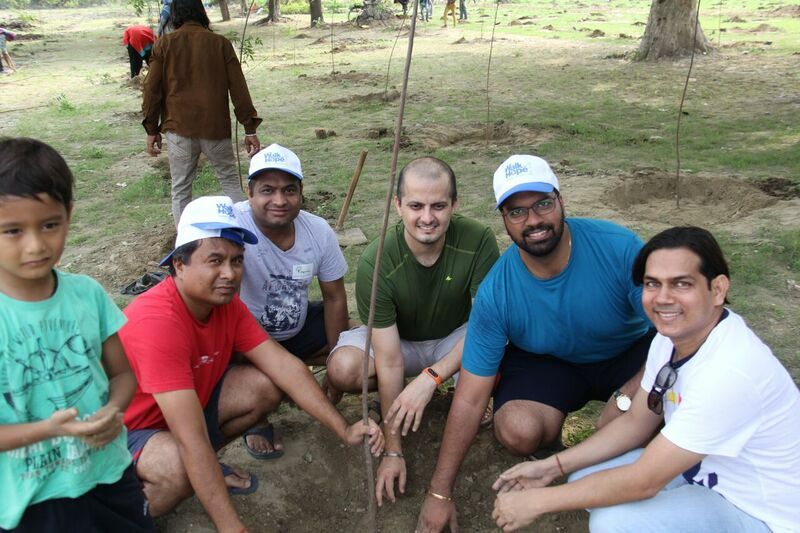 While initial apprehensions lingered about what remained to be done when NDA had accomplished most of the efforts, the participants – with reinforced enthusiasm and energy- took part in the actual planting and its completion. Working in tandem and interacting with workers from the NDA was indeed heart-warming. 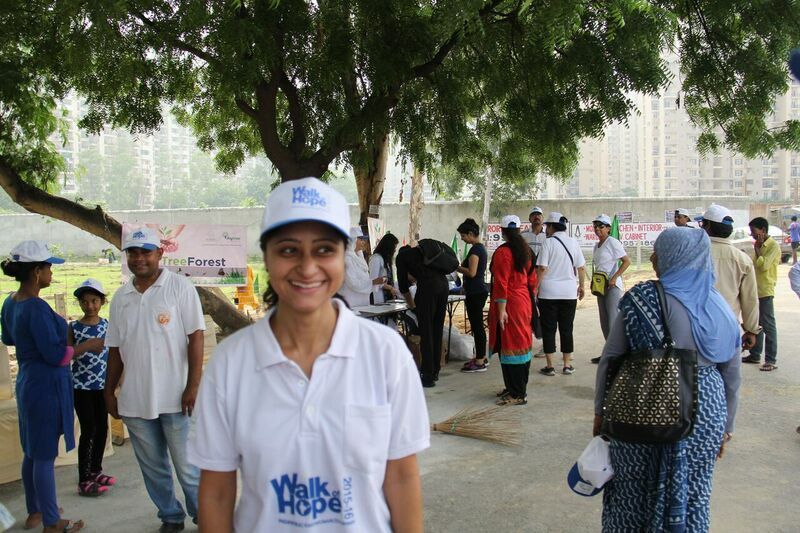 As the day’s proceedings came to a culmination, the volunteers felt enriched having contributed in a small way to nurturing nature. 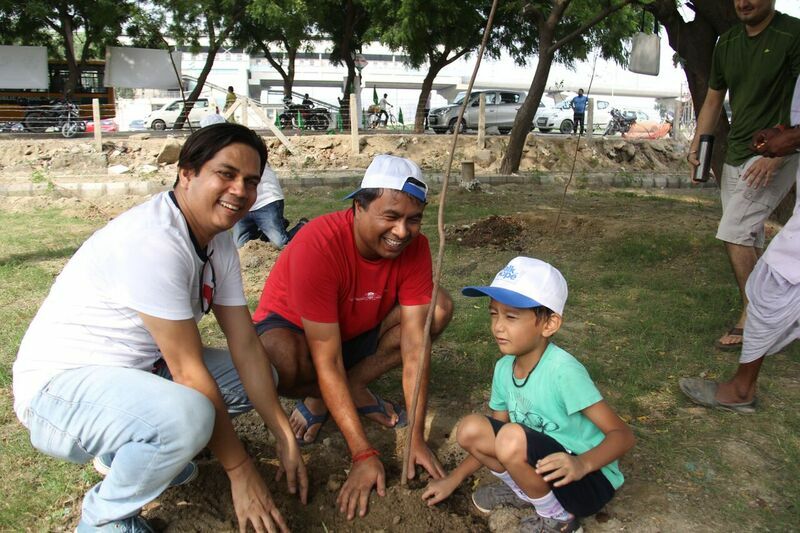 They were more inspired to carry on with such tree planting drives in other locations in Delhi-NCR and other areas in the coming times. The hope is this lamp of initiative will light a thousand others!